The career of Late Artist Nabil Darwich in the field of Pottery started in 1962, the tear of his graduation from the Faculty of Applied Arts. He was the student of the great Professor & pioneer Saiid El Sadr where he learned a lot from his workshop. It was a workshop that as established in Al Fostat under the name of “Pottery Center” and it was one of the establishments of the Ministry of Culture. 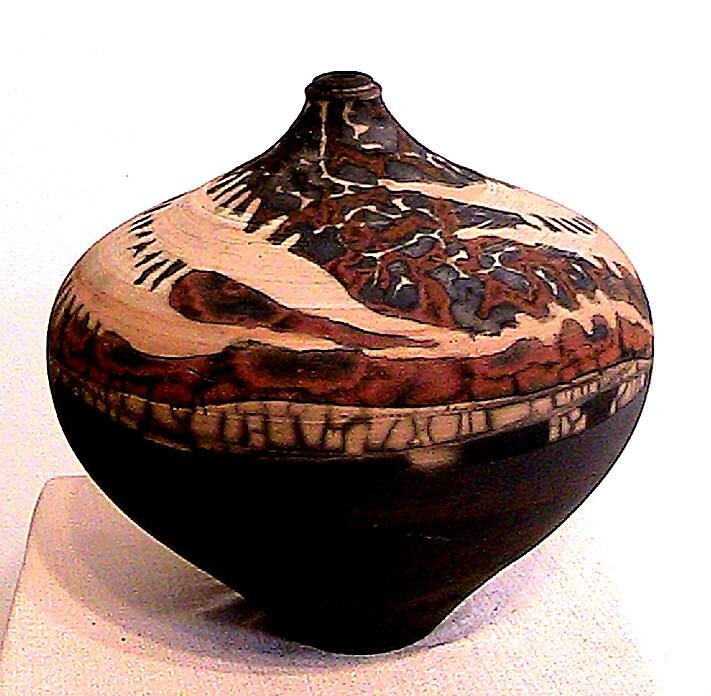 In this workshop, Darwich acquired more knowledge and skills, and in 1971, Darwich became well-know after submitting his thesis in potter’s art. In this thesis, he revealed the hidden technologies of Islamic Art of “Olla Window”, an art in which the potters of the Islamic era distinguished themselves. Darwich traveled to Kuwait and there he discovered a kind of clay that was good for making baked clay vessels. He also visited Iraq, Iran, Turkey, Syria and Lebanon in the hope of discovering the rue origins of Arabic and Islamic Potter’s Art, a mission only Dawrich could accomplish which truly made him distinctive. Drawing with smoke is considered as one of the creative characteristics that defined Darwich. He would practice the art of drawing by spraying carbon on some kind of potters in different shapes: plants, human & animal shapes. He was impressed by the Egyptian Folklore as a source of novelty and originality. He reflected the folklore in making pots and puppets and in sculptures he used it to represent Islamic forms and shapes. The materials he used were of course a developed mixture of his own.